Marouane Fellaini is suing New Balance for £2 million in damages after the shoe brand prematurely terminated his contract, which the company said it did because Fellaini wore the shoes without the logo, which Fellaini said he did because the shoes were pieces of crap that hurt his feet, and the logo peeled off. And now this is all going to England’s high court. 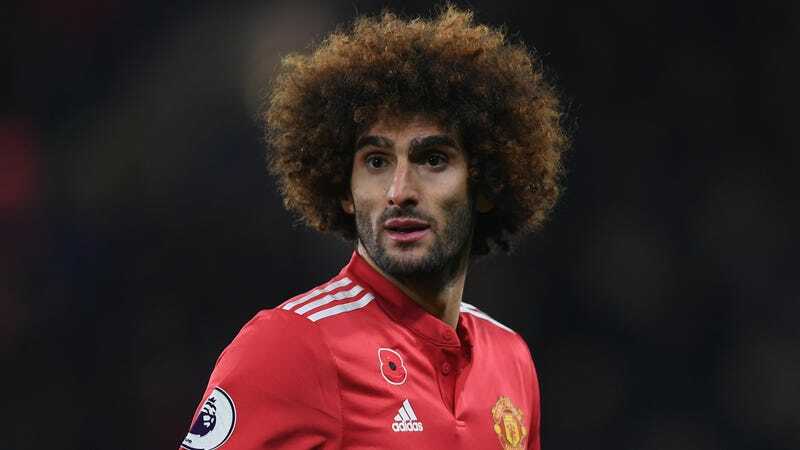 The Guardian reported that Fellaini’s lawyer, Ruth den Besten, said, “The football boots supplied by New Balance were of poor quality and caused considerable damage to Mr Fellaini’s feet.” Fellaini alleged the cleats needed to be “steamed and stretched” by equipment managers before he could wear them. Earlier this month, New Balance said it would “vigorously defend itself” against these claims, per ESPNFC. The company also said it provided Fellaini with new shoes after he told them they were uncomfortable.